Wayward Sisters is a comic anthology edited by Allison O’Toole. After the beautiful cover by Alise Gluškova and a nice, short foreword by Faith Erin Hicks, Wayward Sisters gives us a collection of wonderful short comics, created exclusively by female and gender non-conforming artists and featuring almost exclusively female monsters. 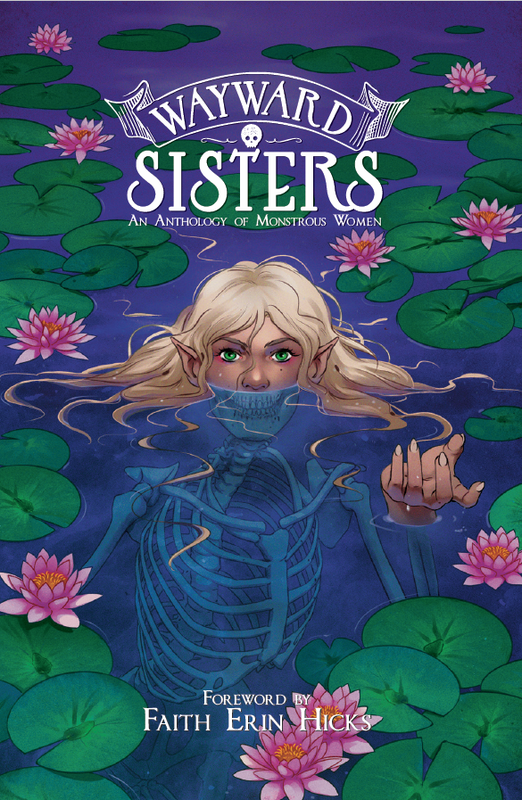 As usual with anthologies, not every story will hit you hard, but I found that Wayward Sisters was one of the most consistently strong anthologies I’ve ever read. It features stories as different in tone as in art style and there should be something there for everyone. For me, there were several somethings that hit me in various sweet spots. After the jump, there’s more about each of the stories separately.